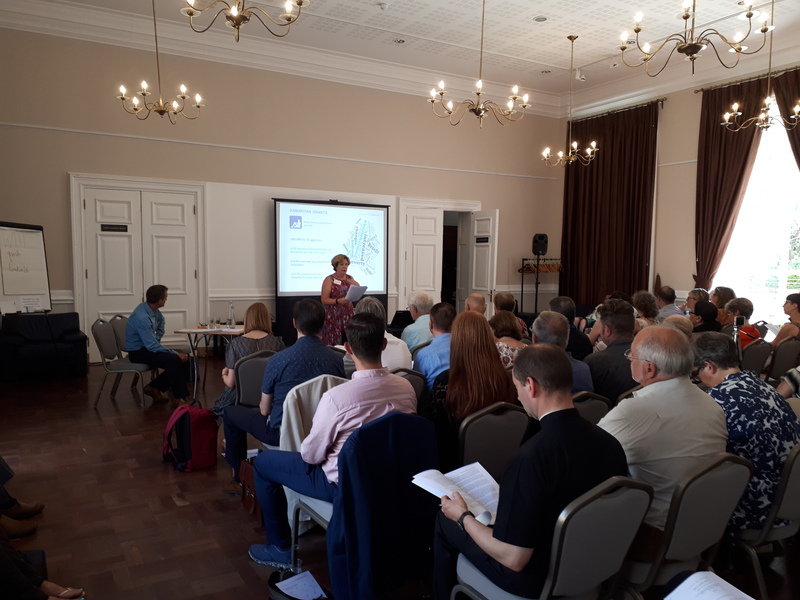 At the recent London Catalyst Annual General Meeting on the 6th July, representatives of London’s voluntary and community sector gathered with our members and trustees to hear from Holly Holder, Fellow in Health Policy at the Nuffield Trust. Holly offered an authoritative review of what the future might hold for users, carers and providers. There were also reports from the ground up by Simona Florio, co-ordinator of the Healthy Living Club a dementia-centred community project and Emily Clarke, Head of Development at South London Cares and North London Cares, a network of young professionals and older neighbours. ‘Social care’ is the oxymoron of our time. A term commonly used, but one that yokes together the mutually antagonistic concept of policy with the reality of provision. It means different things to carers, providers, residential homes, the NHS, the cared for and the uncared. Defining it as ‘the provision of care and support to enable people to live full and independent lives’ echoes the painting of the proverbial rail bridge, by the time we finish the description, to appreciate what it entails, we must begin again. Holly provided a commanding view from the bridge (opens PDF of her presentation) pointing out who organises and pays for social care and the current state of play. The money going into social care has reduced and there is less public provision as eligibility is restricted. Inevitably, more of the share of caring has fallen on unpaid carers and those with no care for whom the path leads, eventually, to the door of the NHS. Holly highlighted the growing inequality in care provision as availability and choice is largely determined by where you live. Private care providers are identifying these growth markets and investing in the areas where people can pay. Alternatively many local authority funded providers struggle, suffering difficulties of recruitment and retention, low pay and, despite a committed workforce, lacking a full capacity for innovation and quality assurance. Local authorities prioritise within a declining market and the first things to go are preventative services. There is little scope for increasing contract fee levels and re-tendering contracts force many voluntary sector providers to reduce services or leave the market altogether. This in effect reduces the availability of suitable local provision and choice, resulting in an increase in the rate of delayed transfer of care between NHS and social care providers. This creates cost and service pressures elsewhere in the care system, leaves need unmet and ratchets up the pressure on carers and voluntary services. A desolate panorama unfolds although there are glimpses of nocturnal hope. It would require £2.4bn to get back to the pre-austerity levels of social care funding and extra funding has been announced – although it is unclear if and how this will fill the gap and, fundamentally, what kind of provision we can expect and how it will be paid for. Will it be a fully tax-funded public sector provision, free at the point of need – unlikely – or a ‘save and insure’ system transparent in its cost and benefits? Or elements of both? Many people believe social care is akin to the NHS and the state will step in and support us when we need it – which is not the case. Whatever the funding mechanism, we must be clear about what it is and what to expect. Holly challenged us all to further the debate. We should understand what social care means and not let the debate be lost behind political posturing and the vacuity of slogans such as a ‘death tax’; two things of which we can be absolutely certain. It was noted that some local authorities are now looking at an asset-based approach to care which includes all our personal, financial, family and community resources. This will bring a radical review of what is involved, by whom and how it’s delivered. Despite funding constraints and political meddling, positive change is happening, as resources are pooled and walls come down between services (e.g. integration with local NHS hospitals of domiciliary and residential services). Working together we care better. 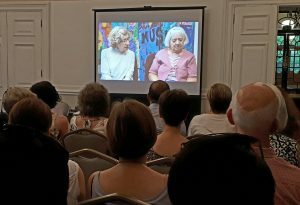 For the members of the Healthy Living Club, a unique dementia-centered community in Lambeth, South London (opens PDF), it’s all about creating a community that lives well with dementia and that offers respite from being ‘cared for’ to the benefit of all. North and South London Cares (opens PDF) adopt a preventive approach, building a neighbourhood network of young and old to bridge divides, thereby mobilising people to challenge social isolation. The prevailing ethos of both organisations is that whatever the question, listening to and respecting the wishes of the individual is the start of the solution. This in theory is what should underpin social care policy. People, we are told, are at the centre of the process. In practice control often lies elsewhere. Choice is limited and elusive and for many the hierarchy of entitlement proves insurmountable. There is much to be done before we can begin to reduce the inequalities in social care. Thank you to the facilitators who led the discussions, and to everyone for coming. See you next year! Charity Registration 1066739. Registered Company 3460296.